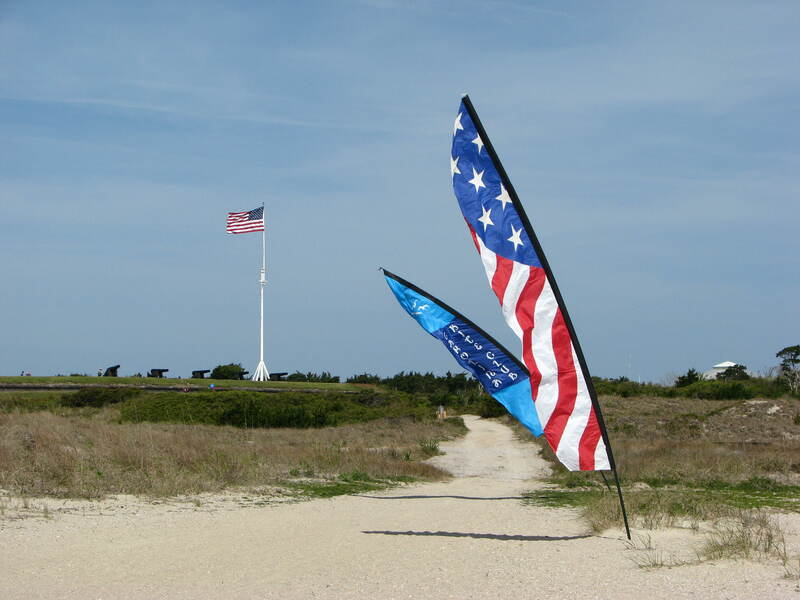 This past weekend was the annual Earth Day Celebration at Fort Macon State Park. It brings out several government agencies, local non-profits and businesses to educate and promote good environmental stewardship. There were activities and demonstrations for kids and adults and live music. Civil War re-enactors were also present to assist with cannon firings and historical demonstrations. 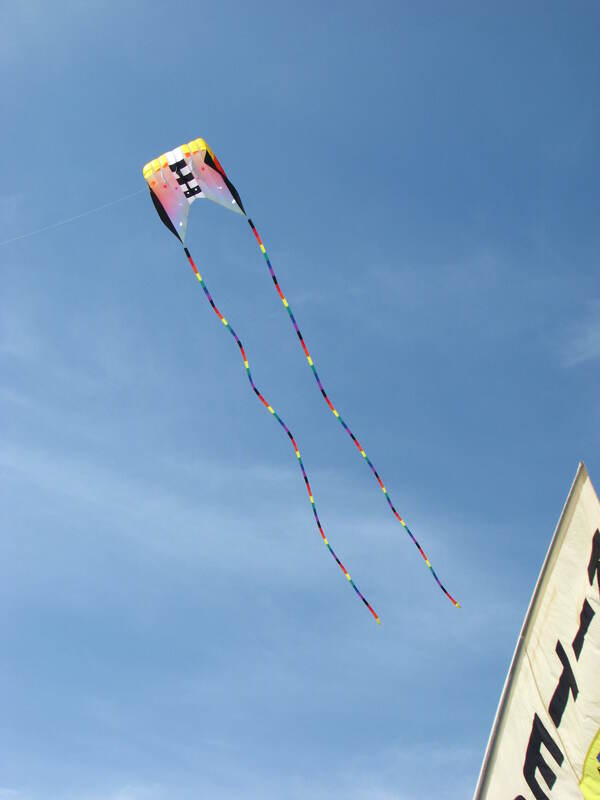 The Carolina Kite Club was asked to put a lot of color in the sky down on the beach for the visitors. The days prior to this event were sunny, warm and blustery. That is to say the winds were ranging from 14 to 20 mph. 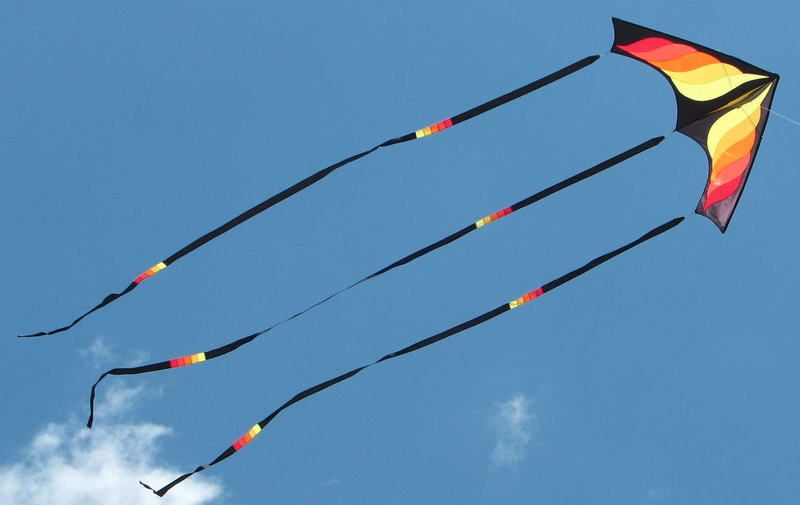 We were all hoping those strong winds would calm enough so we could fill the sky with large kites and long tails. Temperatures dropped a little on the day of the fly but the winds did not. Ever the hopeful group, we took the kites we planned on flying and went down to the beach. Our first order of business was to put up the banners. After they were up, we began to think this was not such a good idea. Wind gauges were measuring 18 to 22 mph and the sand was beginning to blow across the surface of the beach. One intrepid flyer did launch a large HQ flowform with long tube tails and then immediately went and added extra sand to the anchor. 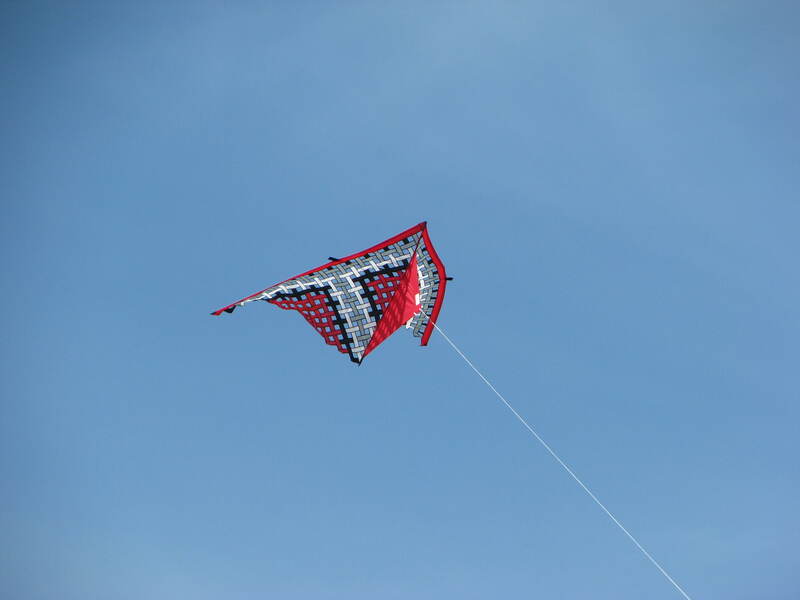 Another put up a mesh delta which handled the wind quite well. 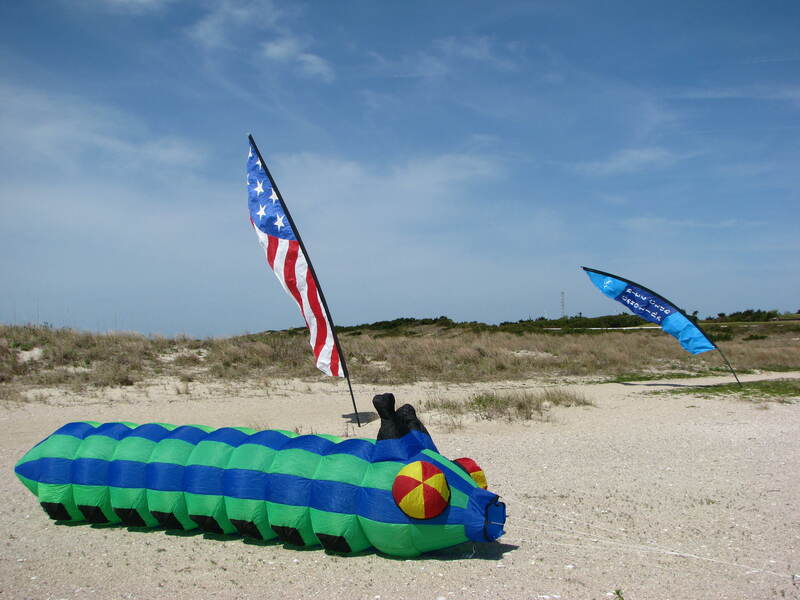 I anchored out my large ground bouncer caterpillar. The rest of the group decided it was too much wind but would wait a while and see if anything changed. And change it did. The wind got stronger. The wind was now blowing 25 mph with gusts up to 30 mph. 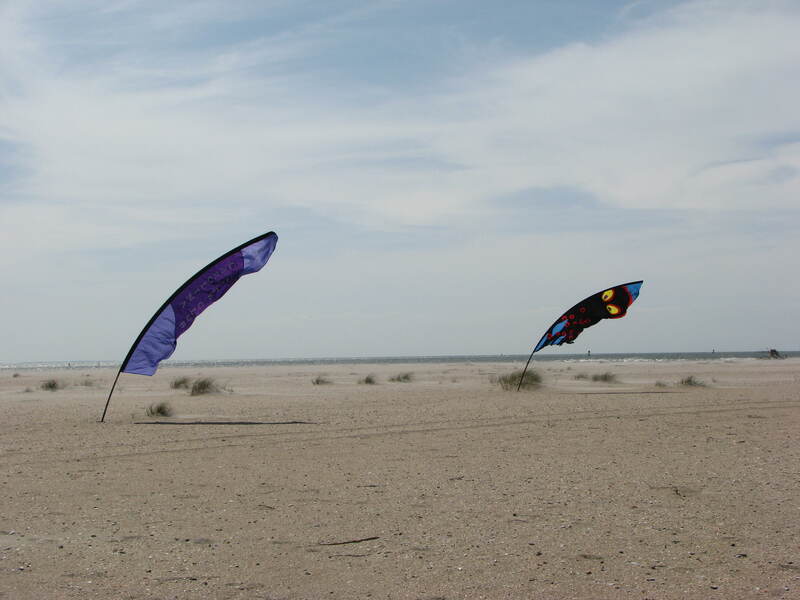 We huddled behind a dune to get out of the blowing sand and watched the banners bend almost down to the ground. That was it! We all packed up and called it a day. It is such a disappointment when you’re asked to fly at an event and then are unable to. Even when it is through no fault of your own. We just hope that the organizers understand and know that we will be back to try again at the next Earth Day Celebration.